The wait is over: Our yearly Roll-Out Issue is now out and available at your favorite newsstands for P195. It is an easy-to-read car-shopping guide featuring the latest car models that will likely arrive on our shores in the next 12 months. 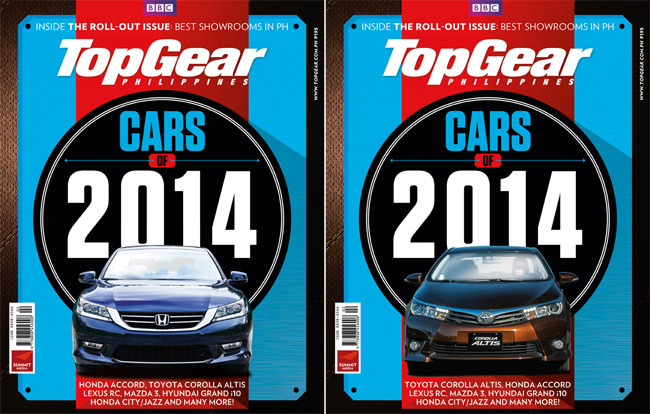 On the covers are the Honda Accord and the Toyota Corolla Altis. Yes, that's right: For the first time in our Roll-Out Issue history, we have a double cover. "There is no better proof of the healthy influx of desirable cars this year than the fact that we have two covers," says project editor Dinzo Tabamo. In addition to the double cover, something new to read on the pages of the Roll-Out Issue are the best showrooms in the country.